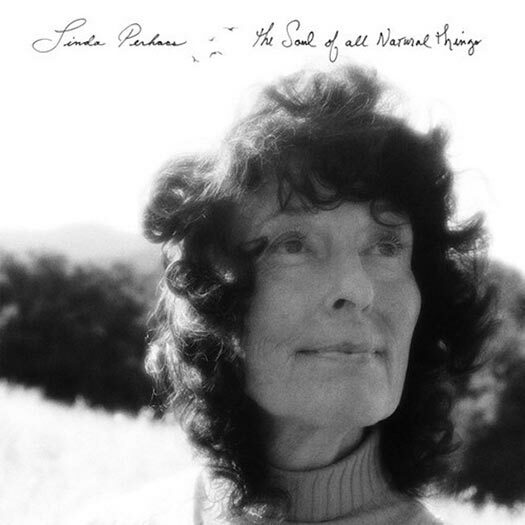 I spent a long time thinking about how to write this album review of Linda Perhacs’ new album, The Soul of All Natural Things, the follow-up to Perhacs’ 1970 album Paralellograms and her first new record in 44 years. Paralellograms is a cult classic, and cult classics capture the imagination in part because they stand alone. After approaching the new album warily, I am relieved to say that my image of Perhacs is still intact. Perhacs has slowly reemerged in the music scene as of late, due in part to fans such as Devendra Banhart and Chris Price, and has been working with a number of contemporary collaborators, including Julia Holter, Ramona Gonzalez of Nite Jewel, and Fernando Perdomo. Ramona Gonzalez’s voice sounds great next to Perhacs’s and accounts for the hymnal quality of some of these songs, particularly on “River of God”, and I suspect that Julia Holter brought the electronic noise into this album as well. The Soul of All Natural Things varies a fair amount in terms of instrumentation, speed and style, so it’s likely to frustrate somebody looking for a specific “sound.” This quality definitely threw me off on my first listen. Considering that the album has a song titled “River of God”, it would be appropriate to compare the listening experience to drifting down a river. Some parts are slow; other parts are fast, and it’s best to just drift and listen. The album’s messages can also be neatly divided between those that are celebratory and upbeat versus those that are polemical. In general, the polemical tracks were the ones that interested me more, along with the sadder acoustic songs in a minor key like “Freely”. On tracks such as “Immunity”, electronic effects are well-used in bringing out those polemical elements, whether they’re feelings of sadness, despair or anger. Something about the percussion during “Intensity” really works, reminiscent of that feeling of not being able to turn your brain off, even while it’s thinking about a million insignificant things that just make you unhappy. The sadder songs also tend to have more subtle lyricism; “When Things Are True Again” could be a song about God or a song about a breakup, and that double-meaning makes it feel more real. Conversely, the songs on The Soul of All Natural Things that don’t really grab me tend to be the upbeat acoustic numbers. The slow melodic acoustic guitar on some songs, particularly “Daybreak”, veers dangerously close to adult contemporary. “Children” is a little too heavy-handed with the message in telling us to be like children. One can appreciate its Biblical references, but telling us that we all just need to become innocent borders on triteness. The world doesn’t work that way. “River of God” features some incredible vocal work between Perhacs and Gonzalez and I can definitely dig the hymnal effect that they were going for, but it’s missing the sublety that works on other songs. “Song of the Planets” has the same sort of problem until Chris Price’s spoken word begins, as it is actually the most interesting part of the song. So what is the overall message of this album and the spirituality contained within it? Promotional materials on Asthmatic Kitty’s website say that the album is a reminder for people to step away from the bustle of their own lives and reorient themselves with nature and divinity. Love, according to Perhacs, is the most important way to understanding spirituality. Nothing she’s saying here is brand new, though it’s entirely consistent with what she was singing in 1970. Some reviewers have stated that the polemical element of the album brings it down, but if anything, I think it’s the more interesting part, precisely because it’s where we need the most help. In this sense, The Soul of All Natural Things is a fitting follow-up to Parallelograms, even if it’s a bit more uneven. Spend some time with this album and let yourself think about how you got to be where you are and where you go from here.